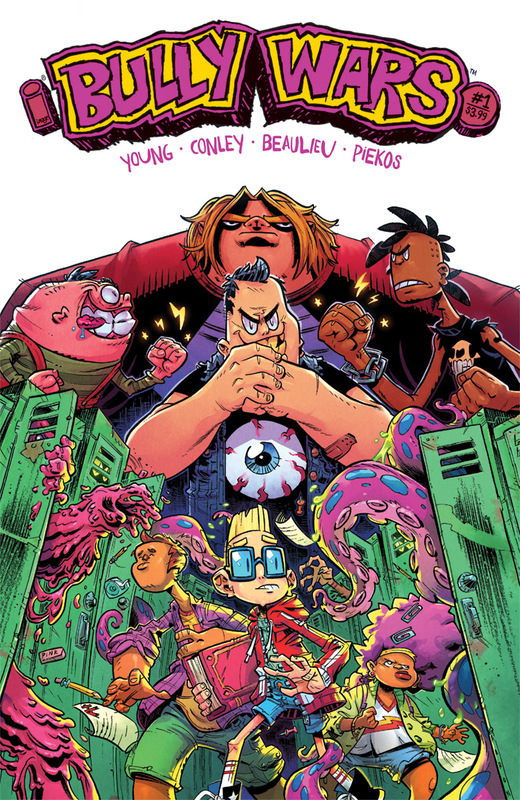 Writer Skottie Young teams up with artist Aaron Conley (Sabertooth Swordsman, Rocket Raccoon & Groot) for the hilarious, all-new ongoing series BULLY WARS. 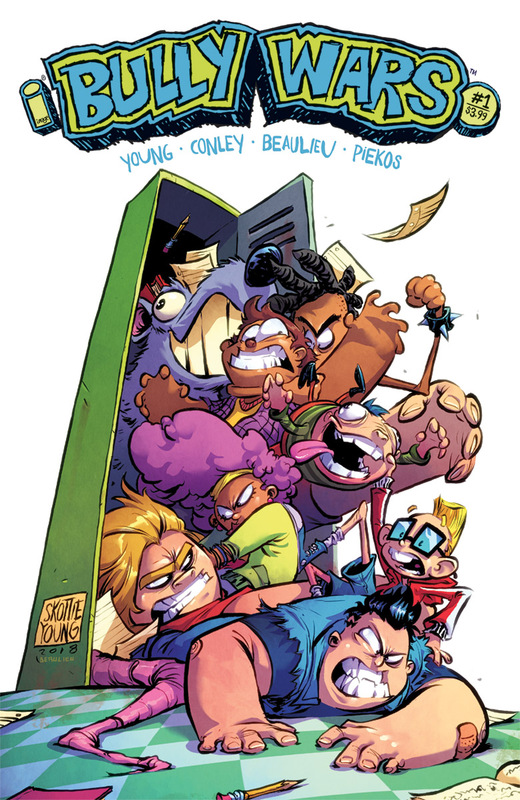 BULLY WARS #1 Cover A by Conley, BULLY WARS #1 Cover B by Young, and BULLY WARS #1 Cover C by Brown will be ON THE SHELF Wednesday, September 5, 2018. Are you ready for the BULLY WARS? Let us know in the comment section below. Also, don’t forget to Like, Share and Subscribe to all things Constant Collectible so YOU can keep up to date with all the news and reviews from a world of GEEK CULTURE.